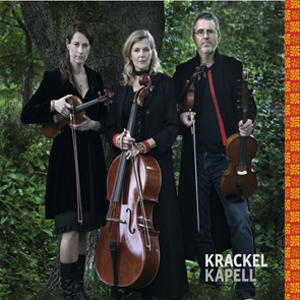 Krackel Kapell is a folk music group looking for the magical and melancholy in the music, as well as the light hovering and hopeful. They play their own music with roots that are ramified in the tradition, but also traditional songs in their own arrangements. 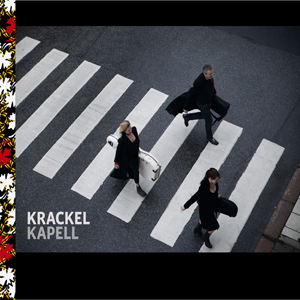 Krackel Kapell had it's debut in February 2011 in Grünewald Hall at the Stockholm Concert Hall and has since then played at festivals, concert halls and many other places. Members of the group have been active musically in various contexts during the last twenty years but have met in Krackel Kapell in the traditional folk music, where all three have their origin and their musical roots. The combination of the instruments - violin, viola and cello - is unusual for the genre but takes the traditional music into new sonic spheres. The arrangements and compositions made by the violast Mikael Sjögren are innovative in the meeting between chamber music and folk music.